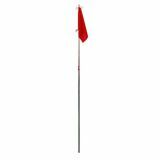 60" high, 3/4" thick PVC pole with heavy-duty base and square red and white flag. Each set includes four flags. 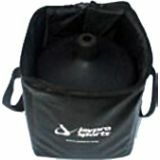 Spring loaded base ideal for training drills and safety corner flags. Each set includes four flags. 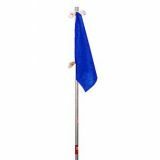 The Champion Sports Official Solid Lineman's Flags are made of heavy-duty materials for the ultimate in comfort and durability. Featuring a new advanced swivel design and custom foam handles, each set of flags are packed in a custom carrying case. 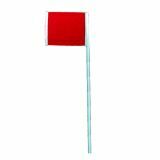 The Champion Sports One-Piece Economy Soccer Corner Flags are the perfect mix of economy and durability, and are a breeze to set up and break down. 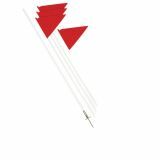 Made of ¾" plastic, this set of four corner flags features screw-in metal ground spikes. 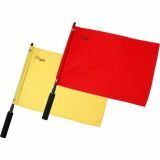 These Premium Corner Flags provide you with the ultimate in versatility. 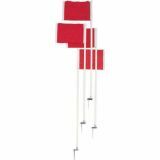 The set of four corner flags features 1" plastic tubing and high-density UV resistant rubber bases, making them perfect for indoor or outdoor play! 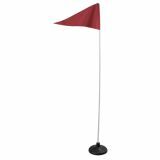 Can be used on turf, indoor or outdoors, official 5' high, 1" diameter PVC poles. Set includes 4 poles, 4 flags and 4 black rubber bases. 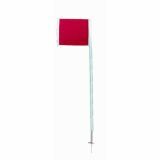 The Champion Sports Slim Line Corner Flags offer flexibility and safe play on any soccer field. 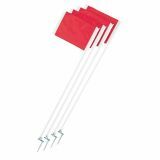 Featuring red flags attached to a .5" fiberglass pole, this set of four corner flags is easily inserted into the ground with steel pegs. 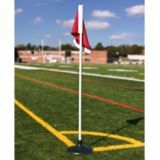 The Steel Peg Soccer Corner Flags are essential for marking the field at all your soccer games. 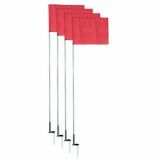 Made of durable 1" plastic, this set of four corner flags features official square red flags, and solid steel pegs for easy ground insertion.